Yes, you did read the title of this blog post right, I have found a NARS brush dupe for just £2. 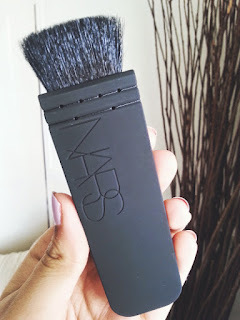 When browsing Ebay a few weeks ago I came across the RT Dupes I bought a while back (full post here) and when scrolling down even further along came the image of a flat contour brush, that looked really similar to the NARS one! 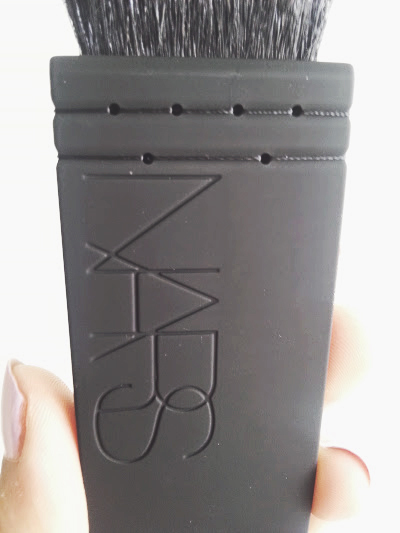 The images on the Ebay listing showed it with the NARS logo but I never believe anything I see on the internet until it comes in front of me. Until the other day it came in the post and oh my oh my, i screamed with a great deal of excitement because it came with the logo on and looks identical to the real brush. 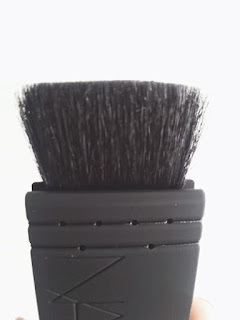 I don't own one as it costs a bomb of £43 at John Lewis but looking at pictures it is pretty similar. I am beyond happy with the quality and it works a dream! For the price you honestly can't go wrong, and I am debating about whether or not to buy another one in case the seller stops selling it. It came two weeks after ordering if you were wondering, which isn't bad considering it comes from outside of the UK.